Bears Fan Fest events are a great way to meet fellow alumni and show your Bear Pride while supporting current student athletes. Thank you for supporting UNC Football during the 2018 season. Visit Football Center for a season recap and photos from our game day celebrations. Visit UNCBears.com for information regarding all upcoming athletic events hosted this year. 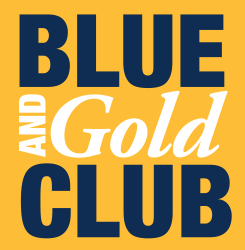 Become a Blue and Gold Club donor today! Learn more about supporting UNC Athletics and UNC student athletes with a gift to the Blue and Gold fund or a team specific fund. Mark you calendar to join the UNC Alumni Association for a 2019 Football travel game when we take Bears Fan Fest on the road. The alumni association will publish pre-game Fan Fest event details and ticket information in Summer 2019. Do you receive information about alumni events? Update your contact information to receive event notices and other important information from your UNC Alumni Association.